After the conclusion of the excellent work of Maria Teresa Savio Hooke and her colleagues, we would like to welcome you to the International New Groups ( ING ) site. Our aim is to inform IPA colleagues about ING work and to share with you our experiences of working in new areas, new countries and with new cultures. We would also like to introduce you to our ING community which includes IPA colleagues working as Sponsors, Liaison and Site Committees, new Study Groups and Provisional Societies in Europe, Eastern Europe, Latin America, North America and Asia (ING Committees), and more than 450 candidates in training. The task of the Sponsoring, Liaison and Site Visit Committees is to guide, support and facilitate the development of psychoanalysis in new areas. The work of the ING is an important aspect of the IPA activities, we hope that a better awareness of the expansion and development of psychoanalysis in new areas could be a stimulus for reflection on contemporary psychoanalysis, on its challenges and difficulties but also on the interest and opportunities for the future in a changing world. Image above from left to right: Claudio Laks Eizirik, Joanne Beavis, Maria Teresa Calabrese, Sergio Nick (IPA Vice-President), Silvia Flechner, Marilia Aisenstein, Harriett Basseches. Silvia Flechner, Co-Chair for Latin America and Cláudio Laks Eizirik, ING Chair, met with the Latin American Site Visit, Sponsoring and Liaison Committees during the FEPAL meetings in Lima in September 2018. There was a meeting of all Site Visiting, Sponsoring and Liaison Committees on Wednesday September 26 just prior to the FEPAL conference followed by individual meetings with each Committee. The meetings were extremely well attended. Minutes of the meeting on the Wednesday will appear here shortly. Are you interested in volunteering to work for the International New Groups Committee? The International New Groups Committee is always looking for new and dynamic volunteer IPA Members to work with the IPA’s developing groups. There is no doubt that the work is time consuming and can be difficult – however being a key part of the development of a new IPA training group can be an enormously rewarding and exciting challenge. Read More. The ING Committee congratulates these groups and warmly welcomes them to the IPA and to the ING Community. 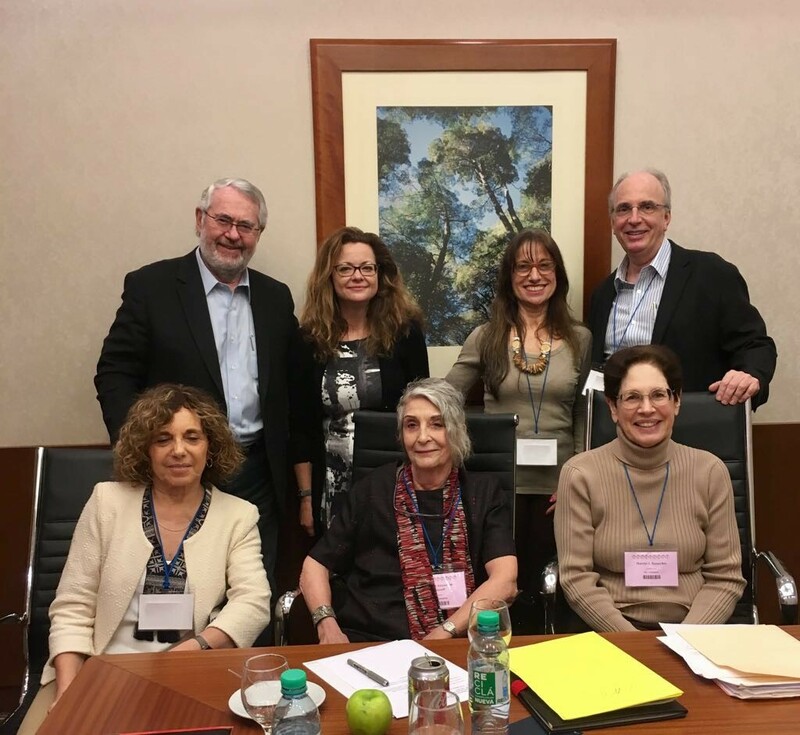 During its meeting in Buenos Aires the IPA Board approved the IPA Statement on Democracy this is a key document for the development of strong and healthy new groups.